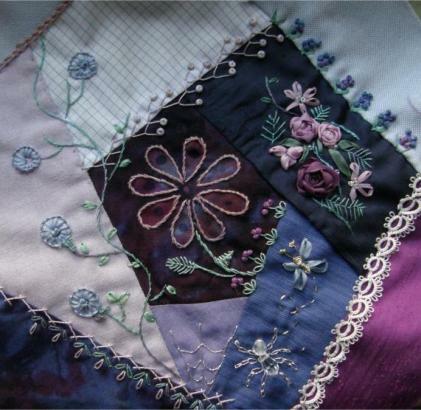 If you love stitching you must try crazy quilt embroidery! You get to combine elegant satins, rich velvets and beautiful threads. Also throw in buttons, sequins, ribbons and lace to create unique handcrafted projects. 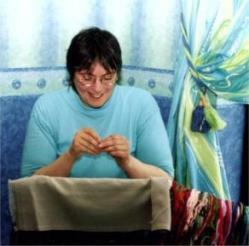 Made for show, not practicality, crazy quilts showcased both their needlework skills and wealth. Ladies now had the time to sit and hand stitch, rather than doing hard manual work. 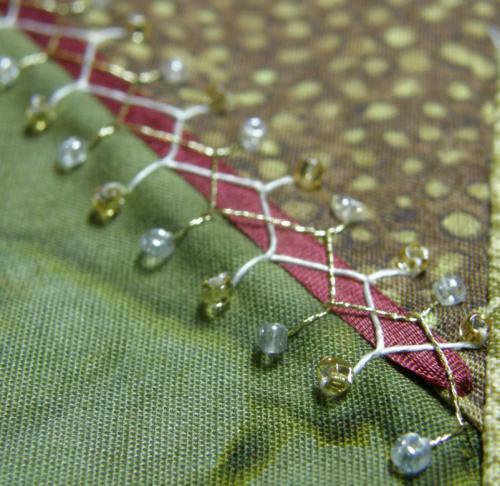 After piecing together expensive fabrics, rich embroidery stitches embellished the seams. Exquisite motifs often adorned the open areas of the patches. Popular subjects for these included flowers, baskets, animals, birds and anything oriental. The Victorians had a fascination with the East, especially fans. These were either embroidered or pieced into the quilt itself. Crazy patchwork pieces broke free of the previous rigid squares, diamonds and hexagons. Precious scraps of any shape and size earned their place on these quilts! It didn't matter what color the fabric was either. Rich crimsons, mellow golds, spring greens, cornflower blues, were all mixed in together. 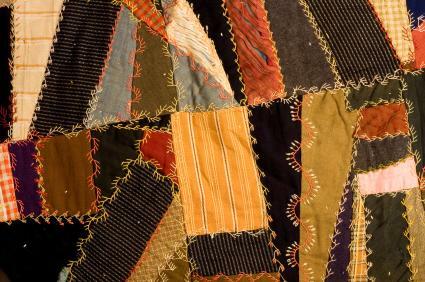 Dark colors filled in the gaps, enlivened by the crazy quilt embroidery stitches. 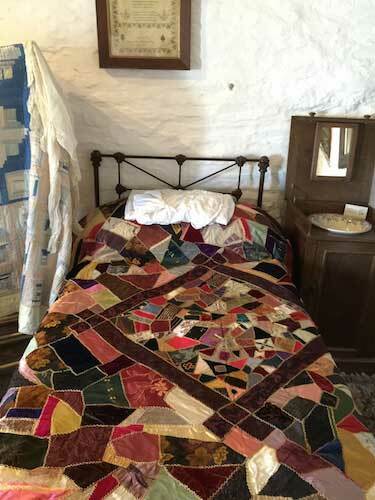 After the Victorian era, crazy quilting lost its popularity. Tastes were less extravagant and more restrained. A new generation of stitchers revived the craft in the 1980s. No longer restricted to bedcovers and throws, they created pillows, wall hangings, bags, purses, vests, needlecases and pincushions. In more recent years the craft has increased in popularity. Crazy quilt embroidery is even more lavish, with blocks encrusted in stitchery and embellishments of all kinds. You can see my first attempt, worked on cotton fabrics, in the photograph below. I would love to see your crazy quilt projects on this special interactive page I created for you. It didn't take long for me to become addicted! The beauty is that you can indulge in all your favorite techniques at once. The craft lends itself to freestyle embroidery. Cross stitch, worked over waste canvas, is also possible. Silk ribbon embroidery adds even more to your project. And don't forget tatting, lace, beads and buttons. The difficulty is knowing when to stop! But my job as an "enabler" is to get YOU started. So let's look at what you will need in your workbasket. What do you need to start crazy quilt embroidery? Note: Please keep in mind, that if you have in mind washing your quilting in the future, all the fabrics used should be pre-washed. This is especially important if you mix scraps with new fabrics, which could shrink the first time they are laundered. The following list gives examples of fabrics that you might like to include in your projects. You might prefer to stick to plain fabrics or those with a small print. 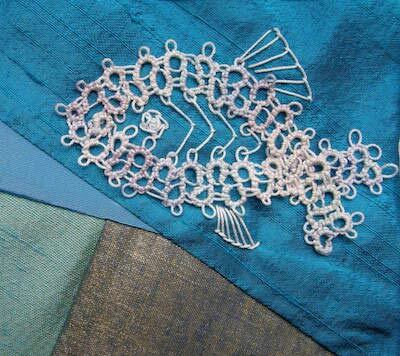 Although it can be effective if you embroider over a large printed motif. Keen to get started straight away? 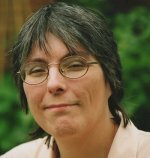 Nip over to my page which describes how to piece your foundation block. Don't you just love embroidery threads? Much of the fun in crazy quilt embroidery is trying them all out. Mix and match natural fibers with man-made options. Shiny with matt. Silk with wool. Fine threads with heavier ones. Flat with twisted. Metallics with rayons. Don't forget silk ribbons! Anything goes when it comes to thread. If it is too thick to pass through your fabric, then couch it down! Useful needles include sharps, betweens, darners, crewel, embroidery, chenille, beading and even the good old tapestry needle. Another one that is useful is a milliners or straw needle, which is the same thickness from tip to end, allowing bullion stitch, cast-on stitch or drizzle stitches to be executed. Try to use the right size needle for the thread, so that it neither rubs at the eye or keeps slipping out of the needle. lace yardage and motifs, tatted or crochet edgings, buttons, metal findings and beads of various sizes, shapes and colors. If you enjoy other crafts, such as lacemaking or tatting, your crazy quilt blocks are the ideal opportunity to use your practice samples, or odd pieces that have never found a home. Ready to have a go at crazy quilt embroidery? OK, go and collect your fabrics and threads, and meet me back at the piecing a crazy quilt block page. Oh yes, you might want to bookmark this page so you can come back and get started. Or better still, subscribe to my newsletter at the bottom of this page so we can keep in touch.